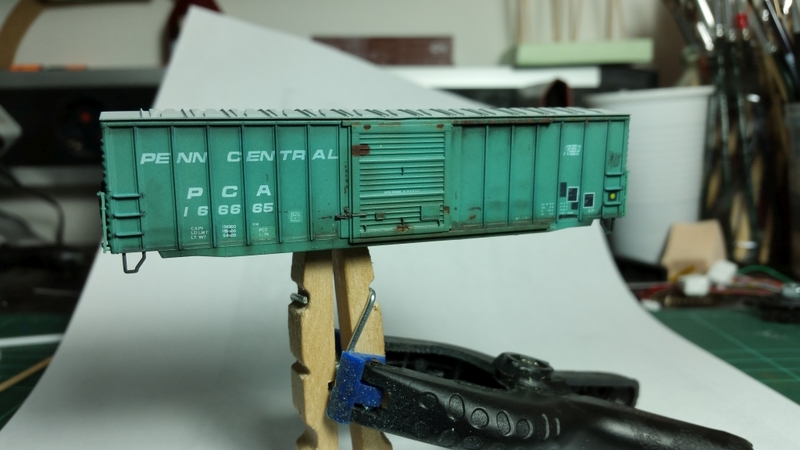 Recently I finished a new weathering project after a protoype photo. 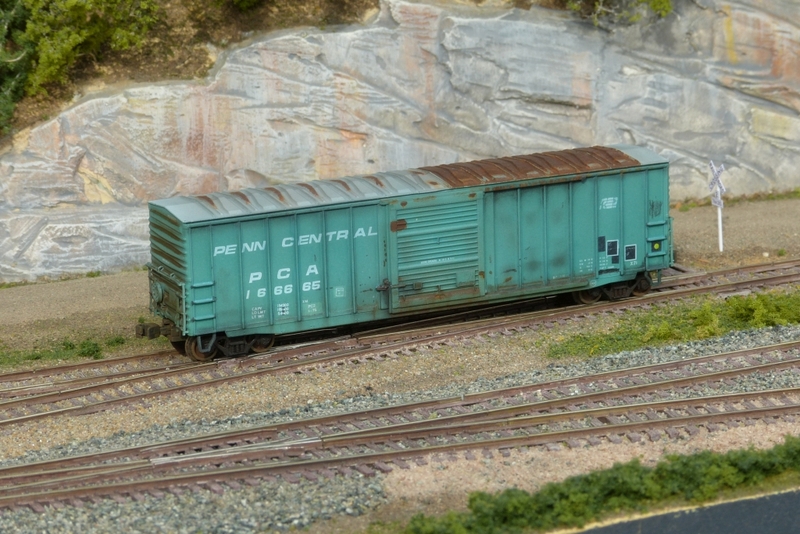 I had this PCA boxcar sitting on the layout for almost 2 years and came across a protophoto on RRpictrues.net showing a PCA box dating to my timeperiod around 1980. Perfect hit. 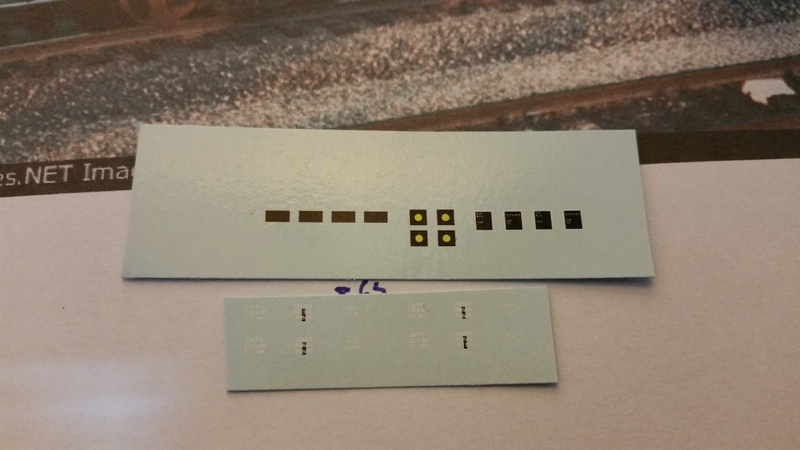 So here we start off: I need some additional decal to match the two parts COTS and Weight stencils. I also designed a yellow dot, which was used around late 1970 to mark cars with intakt wheels. 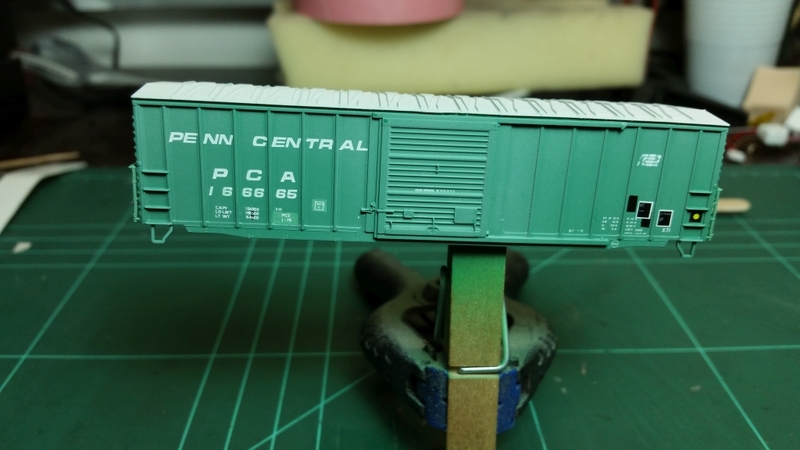 Next step after appling the decals was to get a decent initial overall fade to the box. Followed by various layer of powderized pastels. And the finished version on an outside shot.